DUI crackdown Reviewed by Edgeville Buzz on March 24, 2011 . District and the Rogers Park (24th) District. 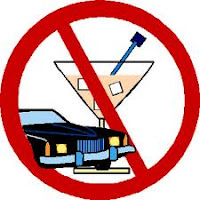 The DUI Strike Force Patrol will commence at 8:00 p.m. on Friday, March 25, 2011 and end at 4:00 a.m. on Saturday, March 26, 2011. The purpose of this program is to saturate a pre-designated area with roving police officers that continually monitor vehicular traffic for signs of impaired driving. Patrols also place emphasis on speed, alcohol-related and safety belt violations. Police vehicles equipped for speed detection are deployed to apprehend speeding violators. In addition, the Breath Alcohol Testing (BAT) Mobile Unit may also be deployed to allow officers to expedite the process of charging a person with Driving under the Influence (DUI) prior to transporting an alleged into the nearest lockup for bonding. The mobile unit also allows for Individual Recognizance Bonds (I-Bonds) to be issued at the site of the DUI Strike Force Patrol.